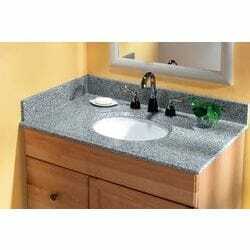 Conveniently attached and undermounted oval sink bowl: saving you the hassle of sourcing and selecting a bowl, these granite tops come with an undermounted sink handily pre-attached, with pre drilled faucet holes offset with 8 spacing. Ornamental ogee edge: each vanity comes finished with a multi-dimensional ogee edge that adds a dynamic profile and a palatial dcor element wherever its installed. Share-friendly double bowl option: perfect for communal bathrooms and tight morning schedules, the 61 width vanity top offers the option of a second sink if desired. Selection of widths: find the right fit for your bathroom by choosing from one of our 25 31 37 49 or 61 width options. 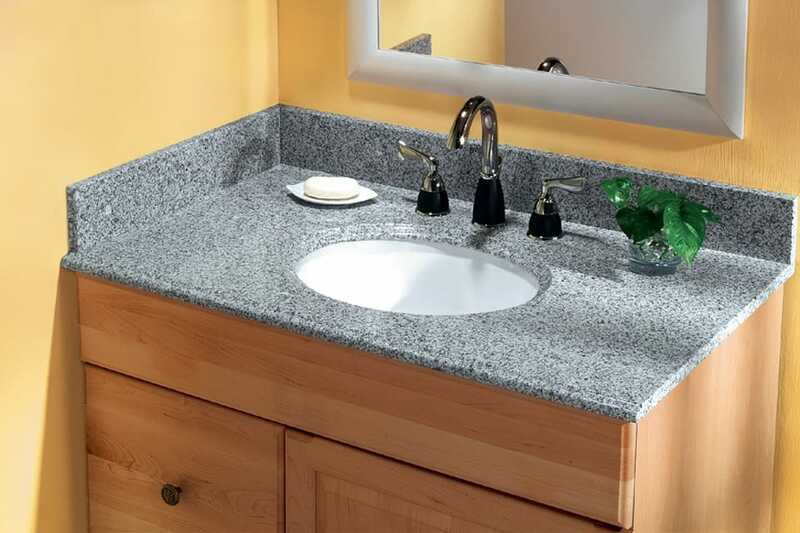 High quality, factory sealed granite: finished with a clear penetrating sealant, each vanity top is sealed to prevent permanent staining or water damage.